Dublin, Ireland has the great joy of hosting the 9th World Meeting of Families that will take place from the 21 – 26 August 2018. The sense of excitement, expectation and anticipation is building by the day as we prepare to welcome families from across Ireland and across the world to our family gathering. The World Meeting of Families was established in 1994 when Pope Saint John Paul II asked the Pontifical Council for the Family to establish an international gathering of prayer, catechesis and celebration that would draw participants from around the world and that would help to strengthen the bonds between families and bear witness to the crucial importance of marriage and the family to all of society. And, so the World Meeting of Families was established and to date it has been hosted in Rome, Rio de Janeiro, Milan, Valencia, Mexico City and Philadelphia. Now it’s our turn here in Ireland because Pope Francis has personally chosen Dublin to be the host city for the next World Meeting of Families and he has invited us to reflect on the theme ‘The Gospel of the Family: Joy for the World’. The main events of WMOF2018 will take place in Dublin but it is also anticipated that related events, including the hosting of international groups, will take place all over the island of Ireland. A Closing Mass will be celebrated on Sunday 26 August with thousands of people from Ireland and across the world. 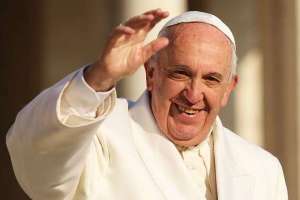 Pope Francis has asked us to prepare for the 9th World Meeting of Families by reflecting on ‘Amoris Laetitia (The Joy of Love)’, his apostolic exhortation released in 2016. Pope Francis believes that the family is good news for today’s world. The Amoris: Let’s Talk Family! Let’s Be Family! Programme is a response to this request from Pope Francis.